This course is Nationally Recognised Eyelash Extension Training. Call Claudia today on 55283591 to schedule a call back from one our Beauty Therapists to discuss your individual needs. 13 May 2019 $1100 +kit extra $100 Bookings open now. 1 July 2019 $1100 + kit extra $100 Bookings open now. Become a lash technician by completing the Gold Coast Training College Eyelash extension course. 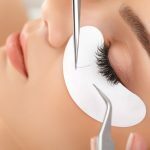 Eyelash extensions are currently in high demand and in this course you will undertake Nationally Recognised Training which offers professional training by qualified beauty trainers in a safe fully insured environment. By choosing nationally recognised training you can be assured that your training is accepted and acknowledged as quality training throughout Australia and valued internationally. Classes will be every Monday for 3 weeks from 9am to 3pm from the advertised start date. You will need 2 models in week 2 and week three. There will also be additional take home activities including using practice dummies which are part of the lash kit. Your kit includes all required products and the practice manikin. Class sizes are kept intimate and will be very limited so please book early to secure your place. A $100 nonrefundable deposit is required upon booking. The deposit will be taken from the full course fees upon final payment. Course participants must have good English reading and writing skills to grade 10 level. This course is not offered to international students. Please book below to secure your place in 2 easy steps. 1. Book and pay your $100 deposit 2. Complete the enrolment form which will be automatically sent to you upon payment. Course fees must be paid in full by course commencement date. remove damaged eyelash extensions. Applying eyelash extensions can be an individual service or form part of a series of services. No occupational licensing, specific legislative, regulatory or industry certification requirements apply to this unit at the time of publication.